SKU: SC RG66. Categories: Abalone, Rings. 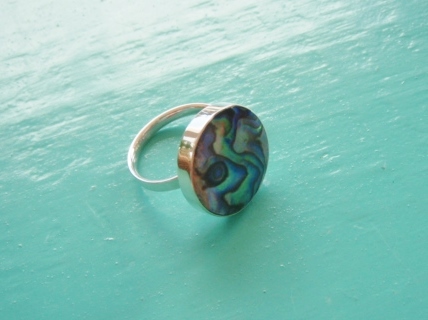 This Round Abalone Ring is beautiful. 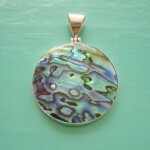 The colours in the Abalone shell are a true reflection of the ocean. Blues & greens merge and ripple together. 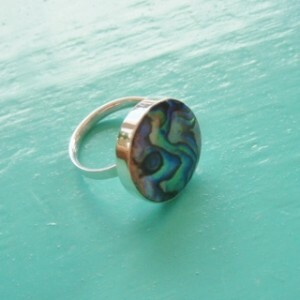 Fully adjustable and set in 925 Sterling Silver, this ring is sure to draw many compliments. 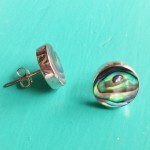 Team it up with an Abalone Pendant and/or Earrings and you will dazzle!